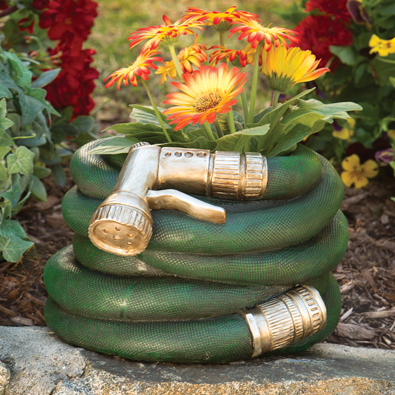 Your guests will look twice when they see your favourite plants springing from this coiled hose planter. Create a focal point on your patio or porch. Realistically sculpted of textured resin with metallic painted details. Planting space is 6" deep x 5" wide at opening. Includes a 1/4" drainage hole in the bottom. *Sorry, Gift Wrapping Not Available on Hose Planter.